Like all of the world's major cities, Indian Restaurants in Auckland aren't hard to find. Whether it's a fast snack or the full dining experience, you won't have to go far to find a cracking curry house or tasty takeaway. 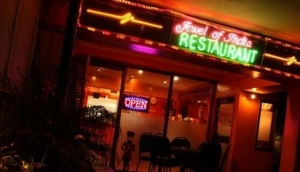 Auckland Indian Restaurants tend to centre around Parnell and Ponsonby. The CBD has some good curry houses, in Victoria Street and Karangahape Road in particular. New North Road in the west, and Manukau Road in the south, also have a good run of Indian restaurants. Unsurprisingly, the food Mecca of Parnell Road is an easy stroll to go investigating not just Indian, but Asian cuisine in general. Mt Eden and Epsom will have slightly cheaper restaurants than trendy Parnell, but are a little further out of town. For a special occasion, the Wynyard Quarter, SkyCity and Viaduct Harbour, have some of the more upmarket Indian Restaurants in Auckland. For takeaways, head west, where Avondale, New Windsor and Hillsborough have some of Auckland's finest Indian fast food.